Bob Luckett retired this year. Bob and his love of metallurgy was one of the many assets that TriALco had available. Bob had over thirty five years in the aluminum production industry. 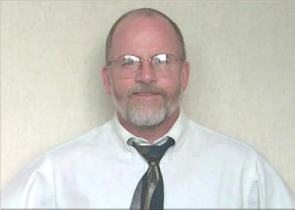 Bob began with just over two years in the primary industry, with both Alcoa-Tennessee and Warrick. Bob’s time in the secondary industry has been split with the first fourteen years at U.S. Reduction working with Mr. Les Armstrong and the last thirty years with us at TriALco. During the last forty five years, Bob provided technical assistance by working with the foundrymen on the floor to improve casting qualities and to enhance the profitability of their foundry. Bob helped foundries in many other ways over the years, notably, by providing valuable information and experience. Bob has assisted with explanations and discussions on a variety of metallurgical topics such as degassing, grain refinement, strontium modification, metal cleaning, gating, risering, and chilling. Bob has taught various metallurgical courses, one of which is through the AFS/Cast Metals Institute. Bob provided support, through metallurgical consultation, to our customers who in turn are able to help their customers. Consultation information normally includes the effects of the alloying elements on castability, corrosion resistance, shock resistance, and advice on the selection of the proper alloy. Bob assisted in failure analysis which lead to improvements in casting procedures and/or the improvement in the design of the actual casting. It has been a pleasure working with Mr. Luckett and we all wish Bob and Betty good luck.